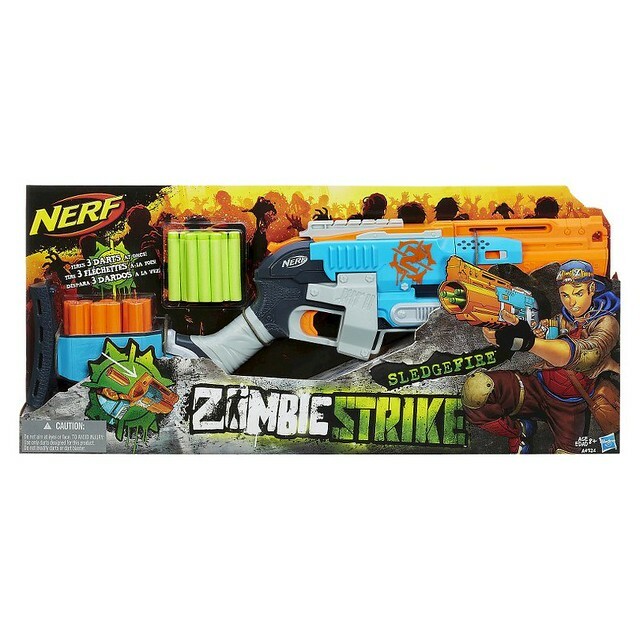 Target.com once again has put up new listings for a never before seen Zombiestrike blaster called the “Sledgefire”. No production description is on the site, but you can check out the listing here. Once again, this is going to be a Target exclusive. Retailing for $27.99 USD. Keep reading the post for a new listing on Zombiestrike Darts, as well as a bit of what the Sledgefire is, and how it actually works.